A photography retreat designed to educate, inspire, and awaken your creativity. The 2019 retreat is sold out, but please sign up to be notified of cancellations and future events. Join me on this intimate 4 day, 5 night women’s photography retreat in the beautiful Outer Banks of North Carolina. 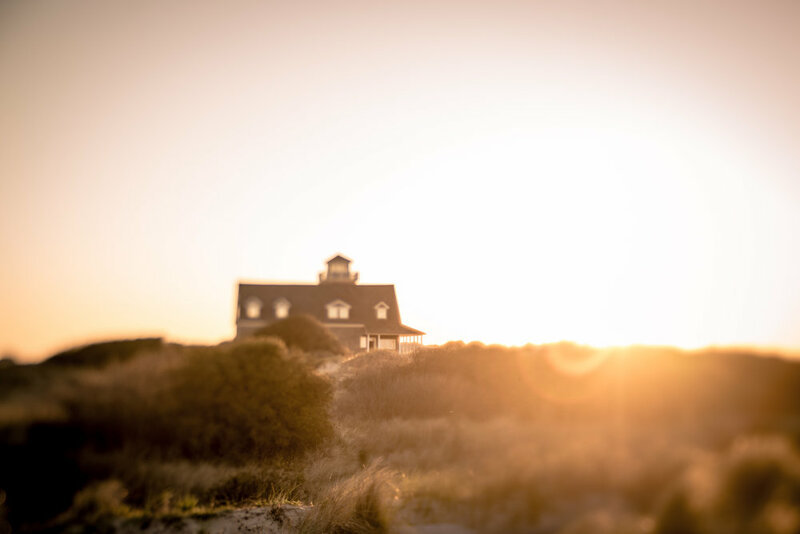 Hatteras Island is a picturesque barrier island surrounded on all sides by the Atlantic Ocean offering bountiful photography opportunities. A beautiful oceanfront beach home will serve as our base camp for the duration of the retreat. We will kick off the retreat on Sunday, October 14th with a welcome happy hour at 4 pm and an evening spent getting to know one another. Over the following 4 days, we will visit 2 iconic fishing piers and both the famous Cape Hatteras Lighthouse and the Bodie Island Lighthouse. We will spend an afternoon beach combing, seeking out those overlooked details that many people walk right past without photographing. We will have a day trip up the island to a small village called Manteo which is rich is American and native American history. There will be opportunities for shooting seascapes, nature, macro, wildlife, and travel scenes. Throughout the retreat, I will provide individualized guidance and support while you are shooting. With a maximum of 5 attendees, you can expect personalized attention in an intimate setting. Designed for the photographer comfortable with her camera settings, shooting topics will include advanced exposure techniques, creating long exposure photographs, using filters and creative lenses, seeking out details and unnoticed beauty. Each day we will have an intimate discussion, talking through many of the challenges, fears, and concerns we face as photographers. You can expect intimate discussions on recognizing and facing your fears, overcoming obstacles and slumps, and building a strong, identifiable collection of images that you are proud of. We will discuss how using post processing techniques through Lightroom can help put the finishing touches on your photographs. We will discuss blogging, social media, and sharing your images and the business side of fine art photography. But, mostly, we we will dig deep into ways to create images that identify with who you are and what you are trying to say through your art. This workshop is framed as an intimate retreat where you are encouraged to not only connect with your fellow attendees but also to find a deeper connection with yourself and the photographs that you long to create. My hope is that you will leave the island feeling revived and inspired, ready to take on your next photography project. My goal is for you to find peace at the beach and enjoy the quiet connection that I find when I’m shooting along t he shores. I believe that saltwater can calm even the most hectic of minds and I hope that you will leave the workshop feeling relaxed, inspired, and connected with yourself and your photography in a way you hadn’t experienced before. While the retreat will be full of activity, there will be breaks built in throughout the day to offer you some down time to rest, connect with your family back home, sight see, or catch up on work. 4 days of photographic opportunities and discussion with like-minded women. 5 nights of lodging in private rooms in a oceanfront home. The home offers a game room, hot tub, and many oceanfront decks for relaxing and enjoying the views. Home cooked meals, snacks and beverages for the duration of the retreat. Transportation to photographic outings during the retreat. Hatteras Island is a tiny strip of land that juts out into the Atlantic Ocean. The entire island is called Cape Hatteras National Seashore and is protected like any national park. While it is developed, many places on the island and wild and remote, with limited access only by foot. The east side offers incredible sunrises over gorgeous dunes and long sandy beaches. The island makes a sharp turn west, allowing the beach to face south and offering a unique perspective on seeing the ocean. Here the beaches are wide and littered with shells and the footprints of beautiful birds which will be on their wintering journey south in mid-October. The island is bordered on the west side by the Pamlico Sound offering still, shallow waters and breathtaking sunsets. Weathering Heights is the gorgeous oceanfront home which will serve as our "base camp." The house has 6 spacious bedrooms offering either king or queen accommodations. Many of the rooms have private bathrooms as well as balcony access for you to enjoy some quiet downtime on your own enjoying the oceanfront view. The home has been recently updated and offers spacious living areas for us to spread out our gear and be comfortable. The home offers a pool table, game room, and hot tub where we can wind down with a glass of wine after the events of the day. Linens are provided. Please note that there are multiple flights of stairs in the home. Hatteras Island in the fall is my favorite time of year. The shorter days allow for less painful sunrise opportunities and sunsets that don’t interfere with dinner. With highs in the 70s and lows in the 60s, the temperature remains comfortable without as much humidity and fewer bugs. Rain is always possible, so please come prepared to shoot in a variety of weather conditions. Because the island is so remote, the closest airport is in Norfolk, VA, about 2.5 hours away. It is recommended that you work with the other attendees to share a rental car. Additionally, OBX Transportation provides a shuttle service or a taxi. An initial down payment of one third of the retreat fee is required at booking. This fee is used to secure the rental home as well as prepare other necessities in advance. The remaining balance must be paid no later than August 1, 2019. Due to the nature of vacation rental homes, this retreat is non-refundable. However, should you find another person to fill your spot, a full refund will be granted following the other's registration. There are no exceptions to this policy. I strongly encourage you to purchase trip insurance to protect yourself in the event of unexpected circumstances preventing you from attending the retreat. Trip insurance is available for purchase through your local AAA office. Itinerary and photography locations are subject to change.